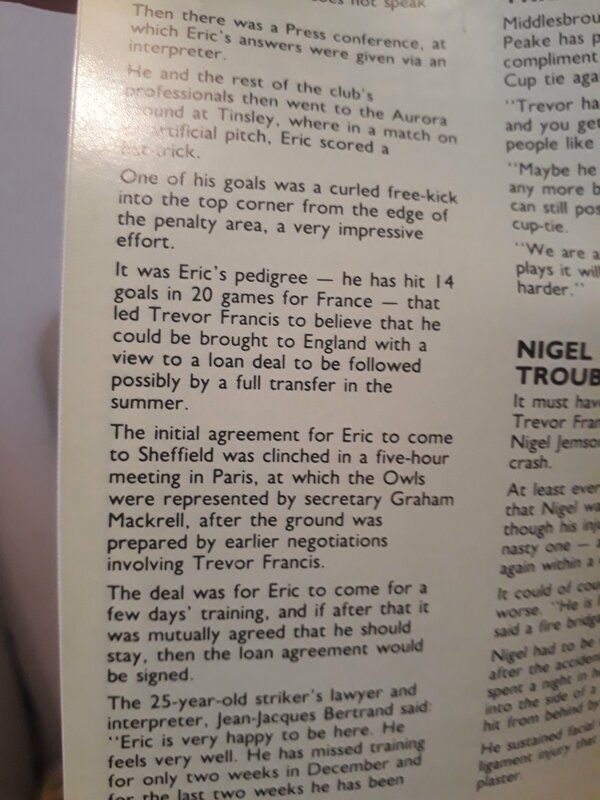 According to Trevor Francis in his new autobiography we were never going to sign Eric anyway. Article in the Stir today which I managed to find amid all the obvious distress caused by the Blunt’s exploits yesterday. I mean, he would say that though wouldn't he. So is the story about Jesus but it keeps cropping up. People love to believe in myths and ignore the evidence against it. Trevor says it didn't happen and straight away the person at the centre of the story is ignored because the myth is sexier. Its a seagulls n trawlers thing innit. 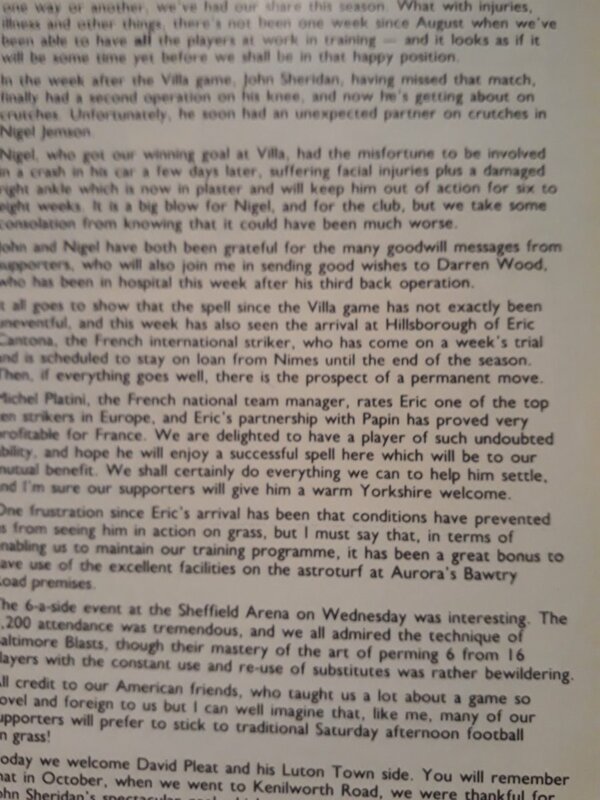 When he first came over I don't recall Francis saying "but we're not going to sign him anyway ". One side of the story, from the side that ended up looking daft, doesn't make it the truth. I thought this didn't ring true so I've just dug out the old programmes. The implication was clearly that we had the option to buy him permanently after an initial loan - so he's either lying now or lied to us back then. Why would we negotiate for 5 hours in Paris if we were just doing him a favour? Source- matchday programme v Luton 1st Feb 1992, managers notes and another article in the programme. How cod I possibly forget the fish ? I've never heard it called that before. Tbf there is a video on YouTube somewhere I have watched a few times where he clearly says he didn’t sign him because he didn’t see him on grass. It was a interview ihink with a local tv station. flipping mental. Plenty of evidence to show Francis up. This is neither the time nor the plaice for that sort of thing. Trevor Francis was a legend at this club no matter what some will always say on here, big fat Judas Ron's team and all that blah,blah,blah, the guy got us to 2 cup finals and European football, nearly won us the league and some great football. Why would he tell the truth, only a complete turnip would hold their hands up and say they missed out on one of the players of the century on a free transfer. See Graham Mackrell did the negotiations in Paris. Then you can simply dismiss anything anyone ever says and you win the argument. But I don't think it would be a very good way of reaching the truth. To be fair, it's not just like he has said it now, this story came out yonks ago, don't know if TF had already written an earlier Autobiography, or if it was just in the press but he has said it before. Old news.